Screen siren Elizabeth Taylor, who was as famous for her eight marriages as she was for her legendary film career, has died. Taylor, the biggest female star of Hollywood's 1950s golden age, was perhaps best known for her title role in "Cleopatra," where she began her long-running romance with Richard Burton. She won Academy Awards for her roles in "BUtterfield 8" and "Who's Afraid of Virginia Wolf." The American Film Institute selected Taylor No. 7 on their list of the 50 Greatest American Screen Legends (25 males and 25 females), behind only Marilyn Monroe, Greta Garbo, Ingrid Bergman, Audrey Hepburn, Bette Davis, and Katharine Hepburn. Her death at age 79 came just days after being declared in stable condition at a Los Angeles Hospital. The legendary actress and style icon had been checked into Cedars-Sinai Medical Center in Los Angeles since early February with symptoms of congestive heart failure. After weeks of showing slight improvement, Taylor finally succumbed to the illness. "We have just lost a Hollywood giant," said longtime pal Elton John. "More importantly, we have lost an incredible human being." The two-time Oscar winner, confined to a wheelchair for the past five years, had battled a number of ailments including three hip-replacement surgeries, a benign brain tumor, and pneumonia. Taylor is survived by her four children, 10 grandchildren, and 4 great-grandchildren. "Her remarkable body of work in film, her ongoing success as a businesswoman, and her brave and relentless advocacy in the fight against HIV/AIDS, all make us all incredibly proud of what she accomplished," her son, Michael Wilding, said in a statement. "We know, quite simply, that the world is a better place for Mom having lived in it. Her legacy will never fade, her spirit will always be with us, and her love will live forever in our hearts." Born in 1932 to wealthy Americans living in England, Taylor was marked for stardom from an early age. She took ballet at three and appeared in her first film, “There’s One Born Every Minute,” at age 9. That same year, she signed a contract with MGM to appear in “Lassie Come Home,” alongside fellow child star Roddy McDowall. The roles came fast, and at age 12, she was a bona fide star, earning a then-unthinkable sum of $30,000 for her role in "National Velvet." The London-born actress was also famous for her many marriages. From her first marriage to hotel magnate Conrad Hilton at age 18 to her last trip down the aisle with construction worker Larry Fortensky, she wed a total of eight times. Two were to the love of her life, Burton. The marriage to Hilton lasted just one year, as did her union with Michael Todd, who died in a plane crash. She was also wedded to entertainer Eddie Fisher, politician John Warner and actor Michael Wilding. 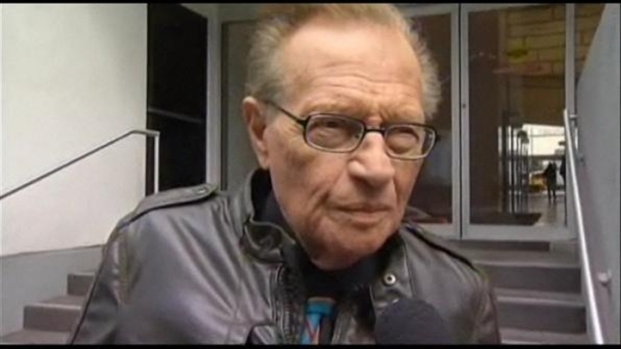 Larry King: Elizabeth Taylor is "the End of an Era"
King talks about his friend's life and what she cherished. 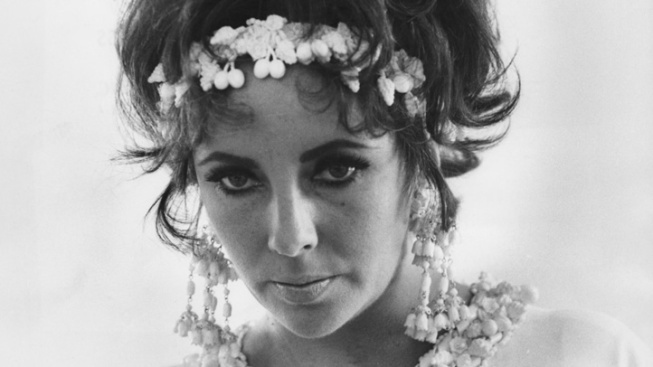 Burton, who was married to Taylor from 1964-74 and then from 1975-76, played Marc Antony to Taylor's depiction of the Egyptian queen, launching a legendary real life love story. "The most astonishingly self-contained, pulchritudinous, remote, removed, inaccessible woman I had ever seen," Burton once said of Taylor. Following close friend Rock Hudson's public admission that he was afflicted with AIDS in 1985, Taylor dedicated her life to crusading for a cure for the disease. She used her celebrity to raise money for many AIDS-related charities and causes up until her passing. Casting a shadow over her glamorous Hollywood image was Taylor's long struggle with addiction to painkillers and alcohol. She sent her fans reeling when she checked into the Betty Ford Clinic for the first time in 1983. During a 1987 stay, she actually met seventh husband Fortensky. However, her strangest relationship was with late "King of Pop," Michael Jackson. The two first met in the early 80s and, after bonding over what Taylor described as "horrible" childhoods, the two were nearly inseparable up until Jackson's death in 2009. Jackson would frequently dedicate songs with an "Elizabeth, I Love You," and there were even rumors that the pair had secretly married. Jackson had a shrine to Taylor built at his Neverland Ranch, where he showed her movies on a continuous loop 24 hours a day. The family is planning a private funeral for later this week.